Please note: these functions are not available with team level logins, you must at least have club level access to see them. 1a. 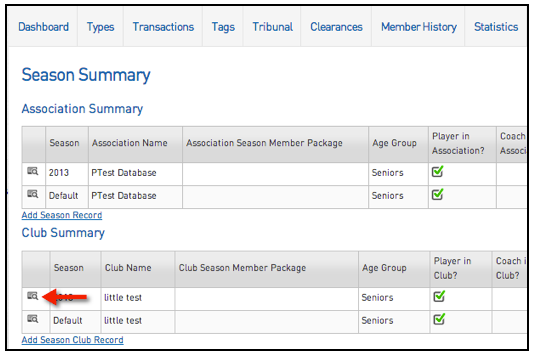 Locate the member that you want to find by hovering over Members and click 'List Members'. 1b. Hover over Member History and click 'Seasons'. Please note: This tick box is not available for football (soccer) users. 2a. Hover over Members and click 'List Members'. 2b. 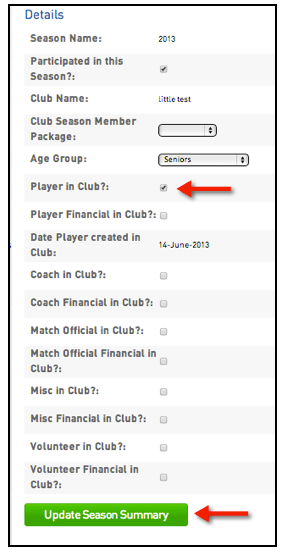 Ensure that the Active in Club box is ticked for the player that you aren't able to add into the game. Check with your league to ensure that the player isn't being filtered from the list because they're too old or young to play in the competition.